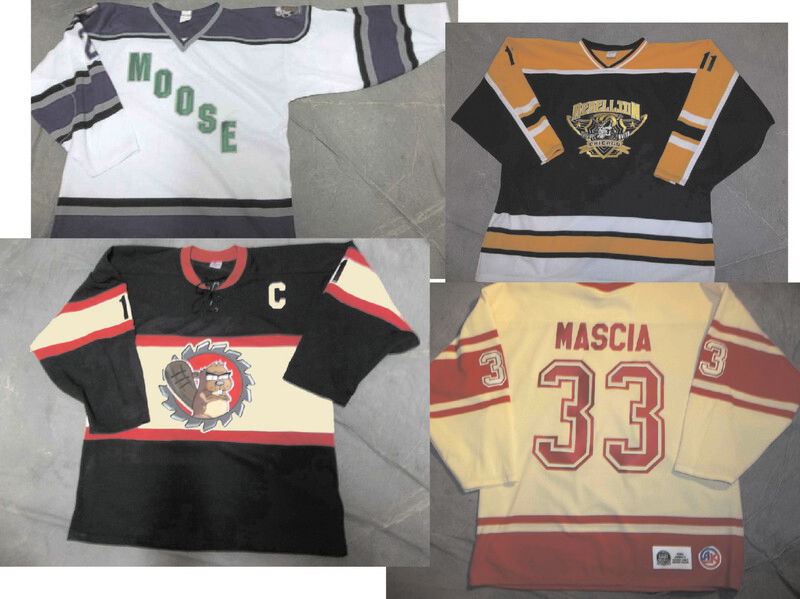 Since 1984 Jonco Enterprises has been creating custom jerseys for teams in HNA and other leagues as well. We are an authorized dealer for Athletic Knit, K1 Sportswear & Philly Express. What do HNA players already know about their Jonco jerseys? We offer competitive pricing and can fill orders for entire teams or one jersey for a replacement player. With jerseys, existing logos and inventory on hand we can offer a quick turnaround time. Say you want to break away from the norm and design a shirt and logo yourself. We can make what you envision into a great looking jersey.We take pride in doing things the right way, the way they should be done. We also offer great options for logos whether they be embroidered, silkscreened or transfers. Attention Canadian teams. Athletic Knit is a now a fulfillment agent for Jonco. This means Canadian orders can be processed by Athletic Knit and shipped directly from Toronto therefore eliminating delays, customs charges and high shipping costs.